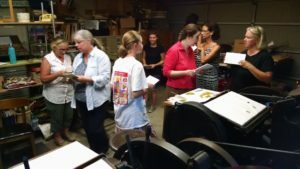 We started hosting workshops again after extensive work and reorganization of our space and we are so thankful to the beautiful people who came out to print stationery with us last night. Cam got to telling his old printers’ tales and we used my favorite light rust and the new indigo ink. 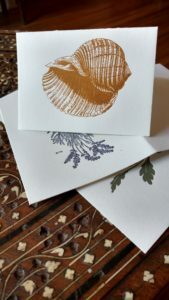 is a family run letterpress printing and design studio specializing in small, hand-made editions of literature and art. 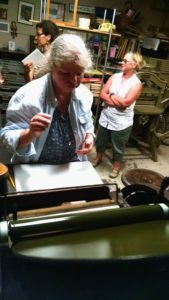 Lettre Sauvage studio offers personalized lessons in the craft of letterpress printing for individuals and groups. Use of the press is available to experienced printers.